The Association holds an annual election for Directors to its Board at the Association’s Annual Premier Members Meeting, which is held in conjunction with the Association’s Strategy Session. Each director serves a three-year term beginning in January. Members of the Board set the overall direction for our organization and make critical strategic decisions regarding our finances, activities and programs. The Association’s nine Board members are elected for three-year terms which are staggered such that each year there are openings for three Directors. Each Board member can only serve for two consecutive terms. Board members must be from a North America (NA) or joint NA/LATAM Premier Member “in good standing,” including by being current with its dues. No more than one person from any Premier Member company may serve on the Board at any time. A complete description of what is expected from the Association’s Board of Director members can be found at Board of Directors' Responsibilities. Any Association member can nominate a candidate (although a Director must be employed by a Premier Member). Each candidate must complete a Board Questionnaire. 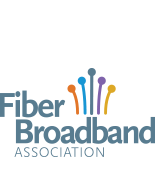 Comments or questions on the voting process should go to election@fiberbroadband.org. The annual members’ meeting took place in Tampa, FL on December 4th, 2018, during which 2019 board elections were held.